Home Pet Rats Can Rats Eat Strawberries Or Are They Best Avoided? Can rats eat strawberries? Attempting to figure out what you can and cannot safely feed your pet rat can take more than a few trips to the internet or your veterinarian! As veterinarians and biologists continually remind us, rats in the wild and feral city rats will eat a varied diet to say the least – these opportunistic feeders may eat whatever they can find, especially during seasons when food is not so plentiful. In captivity, however, you will be solely responsible for answering questions like, “Can rats eat strawberries?” as you create your rat’s weekly menu. So now let’s take a closer look at strawberries – do rats eat strawberries? Are strawberries safe for rats? Are strawberries good for rats? And what you need to know about preparing strawberries for rats? We answer all your questions here! The short answer to the question, “Can rats eat strawberries?” is yes. Rats can eat strawberries and certainly will eat them if the opportunity presents itself (just ask any gardener who has planted strawberry vines in the backyard, only to come out each morning to a case of the “mysterious disappearing berries!”). Rats in captivity need a balanced diet that includes all the major nutrient categories: fats, protein, carbohydrates, vitamins, minerals. Here, veterinarians typically recommend opting for a complete and balanced commercial rat diet of hard pellets. This helps keep your rat’s constantly growing teeth filed down and also prevents selective grazing (when a rat eats only the most palatable items on the plate). Veterinarians state that fresh food should be provided at least once per day along with a commercial pelleted rat diet. Fresh food is important for two reasons: it is a fun and refreshing change from dry pelleted food and it can provide important vitamins, minerals, and trace nutrients along with extra hydration. 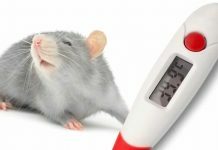 General veterinary guidelines suggest that your rat’s diet should offer 16 percent protein content, 5 percent fat content, and the rest in nourishing carbohydrates. In addition, fresh foods should comprise approximately 10 percent of your rat’s daily diet. Is fruit (fresh or dried) good for rats? Like most people, most rats enjoy eating both fresh and dried fruit. Fruit is sweet and delicious. Dried fruit is even sweeter and still delicious. 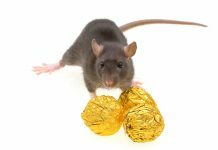 But while most rats love sweet fruits, feeding these too frequently or in too-large portions can cause obesity and other health concerns like diabetes. When comparing fresh versus dried fruits such as strawberries, your better choice will always be fresh fruits. These are more balanced in hydration and nutrient content and most are not sticky or gummy, which can be an important safety issue to watch out for. What nutrients do strawberries contain? Strawberries are a unique fruit! In fact, depending on who you ask, the strawberry is actually not a fruit at all, nor is it a vegetable. Rather, the strawberry is a special type of “fleshy receptacle” that exists to hold and transport the plant’s seeds, which grow on the outside of the strawberry itself. Weird, right? The good news is that strawberries are very nutritious for people and for rats! Strawberries are packed full of Vitamins C, B9, and K plus healthy dietary fiber, manganese, and potassium. Their bright red color comes from the rich content of phytonutrients and flavonoids, two categories of health-protecting antioxidants that can be especially beneficial for the heart and immune system. Best of all, due to both the high fiber and water content, the strawberry delivers a nice low score (40) on the glycemic index, which means strawberries can be fed more frequently and more safely even if your rat is overweight or diabetic (of course, always ask your veterinarian first if either of these conditions apply). Are strawberries safe for rats? If you found this article because you needed to answer the question of “Can rats eat strawberries?” your main concern was likely safety! After all, if your rat got hold of a strawberry before you had researched this topic, you probably felt a bit panicked! Rest assured, strawberries are safe for rats to eat. But here is the even better news – when rats with esophageal cancer were fed a diet of 5 to 10 percent strawberries (freeze-dried in this case), their bodies stopped making more tumors! This positive effect was also seen in rats with tumors from colon cancer. 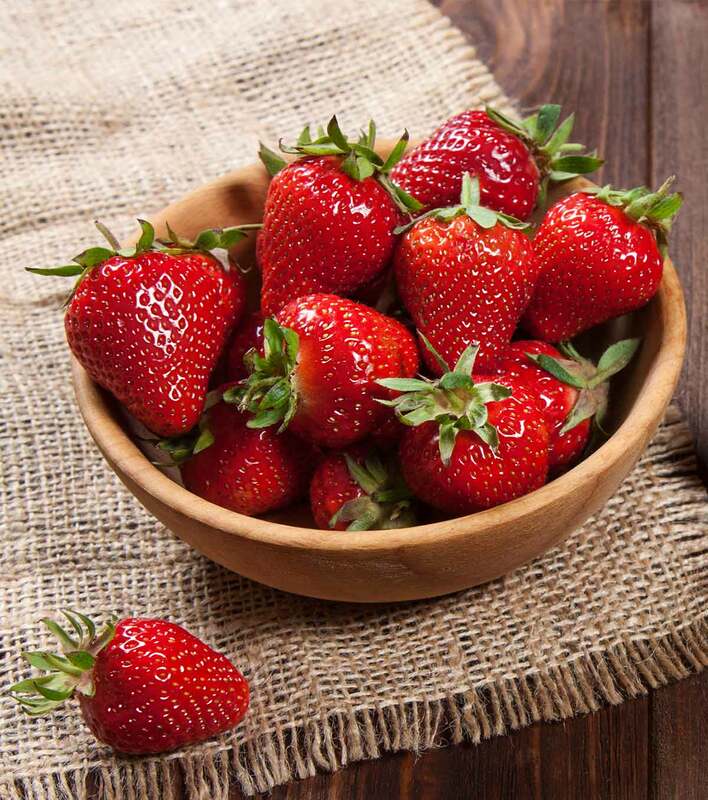 Strawberry leaf extract given to diabetic rats produced a similarly positive result, to the level where strawberry leaf extract is now considered an anti-diabetic, anti-apoptosis (resisting cell death), and anti-inflammatory agent that can be beneficial in treating diabetes. Are strawberries bad for rats? After reading the previous section here, it might be hard to imagine how strawberries could possibly be bad for rats! However, let’s look at a couple of scenarios when strawberries actually could be bad for rats. Strawberries are high in both fiber and water content. If your pet rat eats too many strawberries all at once, this could cause digestive disruption and lead to gas, bloating, and diarrhea. Conventional strawberries top this year’s “dirty dozen” list of produce with the most pesticides. In fact, 98 percent of strawberries that were tested for pesticides delivered pesticide-positive results. This means that even if you wash conventional strawberries really well and use a produce rinse on top of that, you are still likely to take in pesticide contamination from what has been absorbed by the growing fruit itself. If you do want to feed your pet rat strawberries, the only way to avoid pesticide contamination is to purchase organic strawberries or grow your own organic strawberries in your backyard garden. Are strawberries good for rats? As long as you are able to purchase or grow organic strawberries to feed your pet rat, strawberries can be a good source of dietary fiber, water, and nutrients as part of your rat’s weekly fresh foods rotation. The best way to prepare strawberries for your rat to eat is to wash the berry really well and then dice it up into bite-sized portions. Be sure to only feed one or two bits of fruit the first time so you can see how your rat’s digestive system responds. If all seems well, you can offer a bit more of the berry the next time. One question you may be wondering about at this point is if rats can have strawberry tops or stems. Happily, strawberry tops (the green leafy part right on top of the berry) are quite safe for both people and rats! For people, strawberry tea brewed from these leafy green tops can actually help ease the pain of arthritis. Strawberry leaves also have a nice concentration of tannins and a naturally low pH level, which can be good if your rat’s digestion is a bit off. While there is no real information on whether rats should or shouldn’t be gnawing on the strawberry stems or roots, here again there is many a backyard gardener who will attest that wild rats are eager to do just that! Can rats eat strawberries every day? 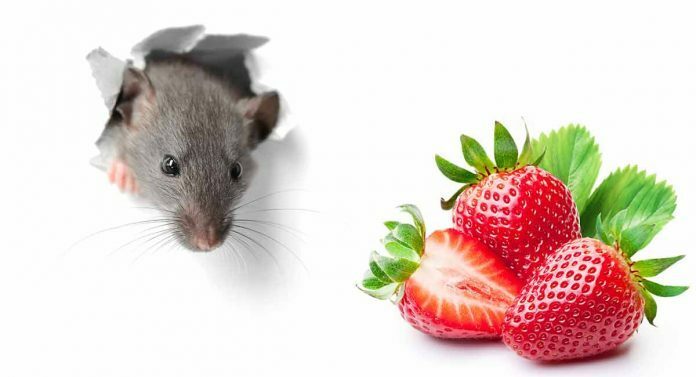 The general guidance from pocket pet breeders and veterinarians is that fruit (we will consider the strawberry a fruit for the purpose of this article) should be a minimal part of a rat’s overall diet. For example, you now know that fresh foods should make up approximately 10 percent of your pet rat’s daily diet. But of those fresh foods, how much of that daily serving should be fruit? First of all, the daily fresh foods portion should be anywhere from one teaspoon to one tablespoon depending on your rat’s size, age and overall activity level. 50 percent of that single serving should be dark leafy greens and herbs. 20 percent can be other veggies. 10 percent can be legumes. 10 percent can be some type of protein (like eggs or oysters). And 10 percent can be fruits. So when you are fixing your pet rat’s daily serving of fresh foods, it is important to remember we are talking about a very small daily portion of fruit overall! One way to make feeding your pet rat fresh healthy foods easier and faster is to prepare larger portions in advance and freeze them. My rat ate a strawberry stem, leaf, or seed – what should I do? Thankfully, strawberry stems, leaves, and seeds are all considered generally safe for rats to eat. However, if you notice anything out of the ordinary after serving any part of the strawberry plant to your pet rat, always reach out to your veterinarian or the local pet animal emergency room right away! So, can rats eat strawberries? Now you have your answer – they sure can! Have you ever fed a strawberry to your pet rat? Did they like it? Please post a comment to share your experiences! 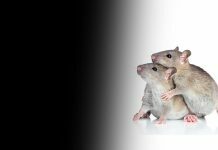 Quesenberry, K., DVM, MPH, DABVP (Avian), et al, “Providing a Home for a Rat/Routine Health Care of Rats,” Merck Veterinary Manual, 2018. Stern, H., DVM, “Caring for Pet Rats,” Soquel Veterinary Clinic, 2011. Lewin, J., et al, “The health benefits of strawberries,” BBC Good Foods, 2017. Losso, J., et al, “Anti-Angiogenic Functional and Medicinal Foods,” CRC Press Technology & Engineering, 2007. Axe, J., MD, “2018 Dirty Dozen: What’s Most Pesticide-Laden Produce,” Dr. Axe, 2018. Weaver, E., “Can You Eat Strawberry Leaves? Here’s What Science Says,” Spoon University, 2017. Ibrahim, D.S., et al, “Effect of strawberry (Fragaria × ananassa) leaf extract on diabetic nephropathy in rats.,” International Journal of Experiential Pathology, 2015. Previous articleCan Rats Eat Grapes As A Tasty Fruity Treat? Next articleCan Rats Eat Tomatoes Safely As A Snack?